The primary goal of our recreational U13 team is still to have fun! We'll continue to build on the strong fundamentals the girls have worked on in previous seasons and we welcome anyone who's new to the sport who wants to play. Players will continue to develop their cradling skills, passing, catching, ground ball pickups, and shooting. We will also continue to build on teamwork, camaraderie, and apply lessons we learn from lacrosse to life. We will not only provide our players with the opportunity to learn lacrosse, but we will also emphasize honoring the game, our teammates, and our opponents. This is a great question! GHL is a recreational program, which means we rely on volunteer coaches, as well as an all-volunteer board, to keep our club going. All of our current coaches began coaching when one of their children began playing lacrosse! The club supplies certification training and will work closely with new coaches to get them up and running with their team. It is exciting to learn right along side your player, so please consider volunteering to become a coach. No prior lacrosse experience is necessary. If you are interested in coaching, please contact our Girls Youth Athletic Director at for more information. In addition to coaching, parents will have a great opportunity to support the team in much needed roles such as: sideline manager, timer, scorekeeper, field liner, and team parent. If you're interested in helping out in any way, please contact the club. The U13 team will start practicing the week of February 26, 2019. Practice location and times won't be available until mid-February, but players can expect to have two 2-hour practices per week. Games will begin on March 17, 2019, and end with the End of Season Jamboree which will be held at the Starfire Complex on June 1, 2019. Post Season Opportunity: The decision to play in any post season tournaments is left up to the coaches and parents to decide. These opportunities do require additional fees that aren't covered by the GHLA registration. We do not provide girls lacrosse rental gear. We do provide all goalie protective equipment and stick for our goalies. 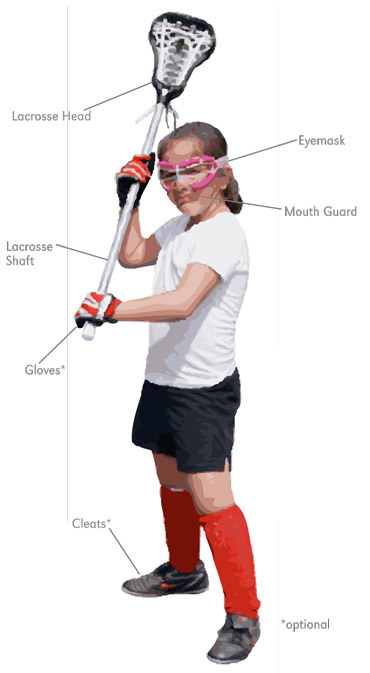 If your daughter has the desire to play goalie, please speak with your coach. Physicals are not required at the U13 level. Concussion forms are required every year before players are allowed to practice. The club secretary will email forms to parents prior to the start of practice or you can download it from the GHLA website (www.gigharborlacrosse.com) under the “Documents” tab in the left menu bar.